Sometimes you just KNOW when the universe is speaking directly to you! That just happened for these two sisters who are passionately pursuing our life purpose by writing and publishing books. “This is beautiful!” I exclaimed after Catherine texted a photo of the interior page design in her first novel, Veronica, I Heard Your Mom's is Black. She had just received the emailed proof from the designer and called me. I stayed on the line to share her anticipation and excitement as she opened the box. “You are doin’ it!” I shouted in my kitchen as I chopped vegetables and baked cod after lifting weights at the gym. We’d had a super-productive day, writing, and consulting with our graphic design team about five book covers for upcoming publications. Yes, in 1996, Catherine began writing The Veronica Series of young adult novels about a biracial girl. It was an assignment while she was earning her master’s degree in Creative Writing from the University of San Francisco that turned into her thesis. The bound booked have lived in USF’s library all these years. For two decades, her first three books waited as she explored a career in financial services. Then, over the last several years, she decided to return to her life’s true calling: writing. So, we fused our experience and expertise to create Two Sisters Writing and Publishing as well as Atkins & Greenspan Writing. 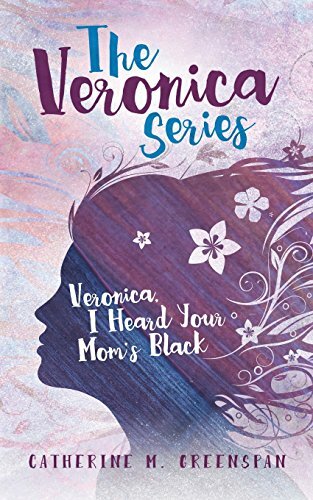 Catherine will be publishing Veronica Talks to Boys and Race Home, Veronica very soon, books two and three in the series. She aims to have seven books out by year end. Very importantly, today’s magic moments occurred in the wake of a few challenges. The timing is perfect! “I have to go to Office Depot to print this out so I can look at it,” she said. We hung up. A short time later, she texted photos of double rainbows. Then I called her as she left the store, carrying the 108-page manuscript in a turquoise binder. We grew up watching our father journal every night at the dining room table. He was deeply spiritual, and we know he’s watching over us as a guardian angel. Now our mother is writing a book about her life, and Two Sisters will publish her memoir this spring. “The rainbows stayed with me during the whole drive to the store,” Catherine said. “That is a powerful affirmation from the Universe!” I announced. What is your heart telling you to do as your life’s purpose and passion? What have you been putting off for 20 years, for whatever reasons, that you want to accomplish in this lifetime? This is not a dress rehearsal! We are live on the stage of our lives, right now. Catherine and I just want you to know that it can be scary to venture into a new endeavor. But when you follow your bliss, and take action on what your heart is inspiring you to do, and believe that divine forces are conspiring to help you, then God and the Universe will light up the sky with signs that you are on your way!